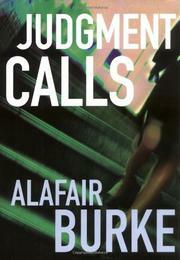 Debut legal thriller from a former ADA, daughter of well-known crime writer James Lee Burke. “All those Law & Order shows had done some serious damage to my image out there,” says Samantha Kincaid, one of many assistant district attorneys in the Portland, Oregon, area. Samantha hangs out with people who like to throw around terms like “vic” and “attempted sod.” She arrives at work in paragraph one to find a cop waiting for her—unusual, but not incredibly so. Seems a 13-year-old girl has been savagely assaulted by a pair of men—smart psychopaths, of course—but the case is kind of a dog evidence-wise, and, naturally, the cops want Kincaid to prosecute anyway. But that won’t be happening without a little investigation. The 13-year-old turns out to be a street prostitute—no good for the case—and the perps start to look a little strange when one of them turns out to have no pubic hair. How come? In between putting her case together, befriending the vic, and trying to make nice with the old beau with whom things never really worked but who rocked her world, Samantha notices odd men following her at the zoo and fails to worry when someone breaks into her apartment to leave her a threatening note because no one ever really hurts prosecutors because they’re replaceable—or, as she herself notes, indistinguishable from those on television. Burke’s prose reads like an e-mail you’re getting from a long-lost friend—the language is casual and the story full of references to stuff you wouldn’t care about unless Samantha were a pal: her ugly dog, why she only reads paperbacks, etc. When Judgment Calls isn’t giving unneeded detail, it reads like an extended tutorial on how to prosecute crimes on borderline evidence. Samantha outlives the bad guys, though not without having her personal life revealed. But will it be enough to draw us forward to the next installment, already in the works?